Drop by the art studio between 12:30 and 2:30 and join in this all ages workshop (best for ages 7 and up). 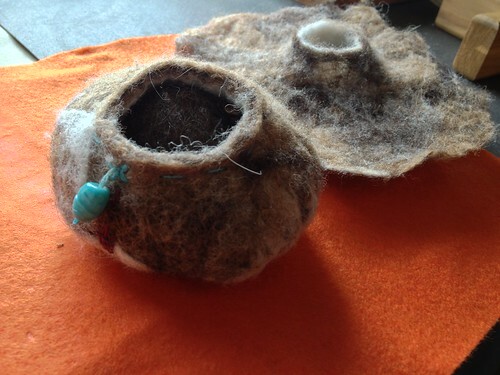 We’ll wind natural wool from Hillspring Eco-Farm, a local organic grower, into felt vessels. This simple process creates felt forms that are both decorative and functional. Embellish your finished vessel with colorful embroidery. No experience required.